GUIDE PRICE £365,000-£385,000 A spacious and immaculately presented 3 bedroom, 2 reception room Victorian house, greatly improved by the current owners, offering potential to convert the loft space with a south east facing garden and no onward chain. The property is situated on a popular residential road, within easy access of the railway station, town centre and excellent schools. The accommodation comprises: entrance hallway, bay fronted sitting room with open fireplace, dining room with wood burning stove and a kitchen refitted by PD Kitchens with a stunning selection of high gloss units with Corian work surfaces, boiling water tap, glass splash-backs and integrated Neff appliances. Off the kitchen there is a utility room with plumbing for all domestic appliances and a family bathroom which comprises bath, Kudos shower, Geberit Aquaclean Sela toilet/bidet and basin. 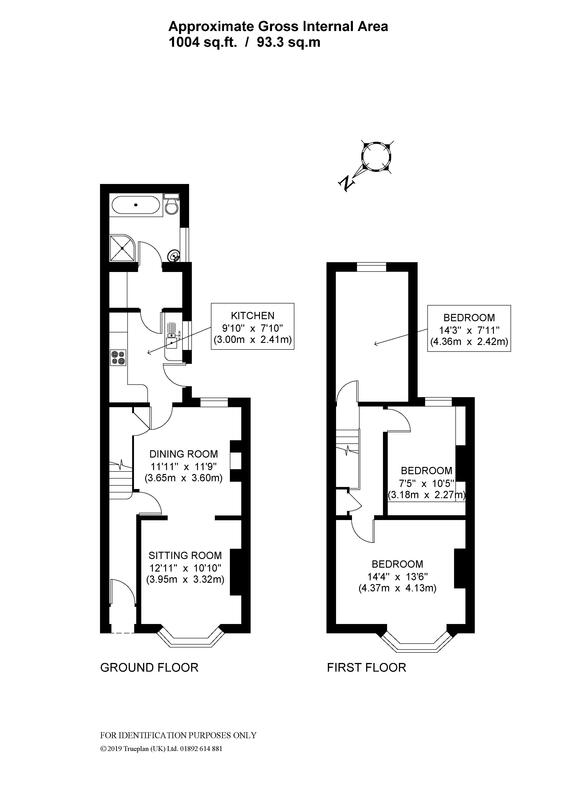 On the first floor landing there is access into the loft which offers scope to convert into an en suite bedroom. There is a great sized bay fronted master bedroom, 2nd double bedroom and 3rd bedroom with hand-made fitted wardrobes. Benefits include: under floor heating, gas fired central heating to radiators (combination boiler with WI-FI controls located in the utility room), Karndean flooring, engineered Oak flooring and double glazed windows. The 50' x 15' south east facing garden offers an excellent degree of privacy and is predominantly paved with rear access. There is a shed, summerhouse and useful glazed Veranda. The property is situated on a popular residential road, within easy access of the railway station, town centre and excellent schools. Horsham is a historic and vibrant market town with great transport links and excellent educational facilities. In fact, a survey by the Halifax revealed that Horsham is one of the top 20 places to live in Britain. The schooling caters for state and public sectors and the main schools are Millais, Forest, Tanbridge, Collyers, Christ’s Hospital and Farlington. There is a thriving restaurant and cafe scene, from familiar chains to independent and award-winning eateries. The Carfax markets offer local produce and street food every Thursday and Saturday and there are various themed events throughout the year. Horsham Park contains numerous football pitches, tennis courts, swimming complex, gymnastics centre with Rugby, Cricket and Football clubs nearby. There is a wide selection of sport and leisure facilities for all ages within the town. West Street and Swan Walk offer comprehensive shopping and there is a newly opened John Lewis and Waitrose on Albion Way. Horsham has direct train links to London, Gatwick Airport and the South Coast. This would be ideal if you are looking for a period home with a south east facing garden, potential to convert the loft space and no onward chain.